Don't have a blog post prepared? No problem! You can choose "use article or blog post" when creating a video, then use our keyword search to find articles relating to your industry. 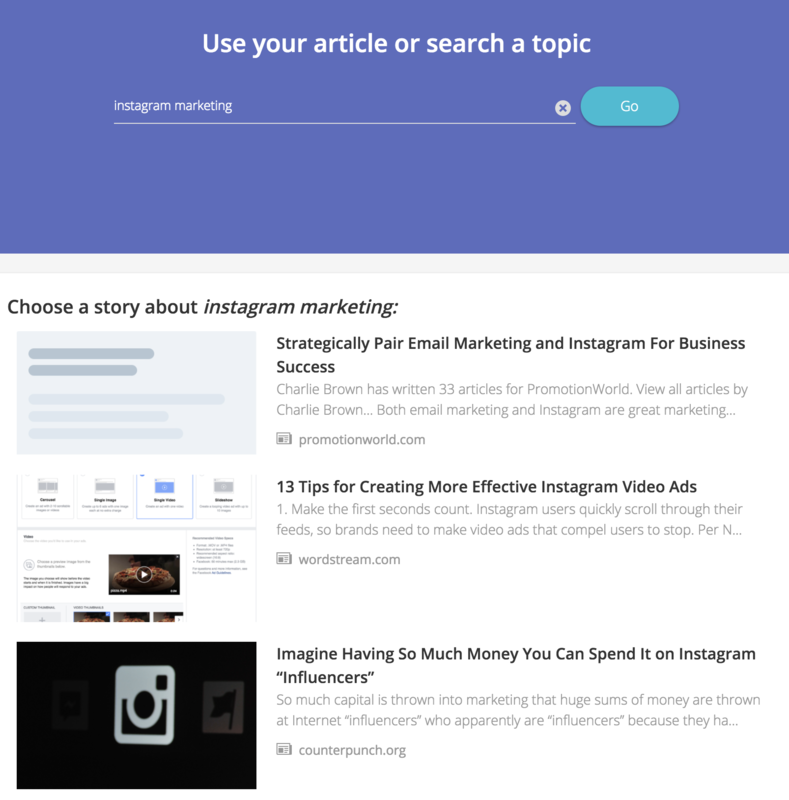 Once you click on an article, Lumen5 will pull the content from the link and make it available in your Story tab. From there, you can click on sentences to add them to your video.